Free Shipping Included! Pangea Audio AC 9SE MKII Signature Power Cable (0.6 Meter) by Pangea Audio at Pacs BG. MPN: 6837669. Hurry! Limited time offer. Offer valid only while supplies last. Pangea Audio's AC-9SE has been upgraded as the new model AC-9SE Signature Edition MkII to include premium Cardas Grade One Copper in its conductors. Pangea Audio's AC-9SE has been upgraded as the new model AC-9SE Signature Edition MkII to include premium Cardas Grade One Copper in its conductors. 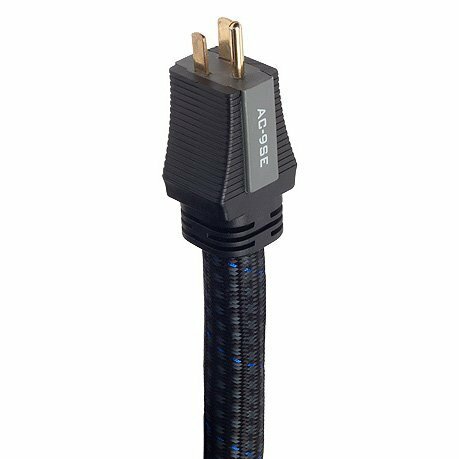 AC-9SE MkII is the AC power cable of choice, for getting superior performance from hi-fi and home theater amplifiers, powered subwoofers, and other high current AV components. The Pangea Audio AC-9SE Signature Edition power cable is an enhancement of Pangea's wildly popular AC-9 and the new AC-9 MkII power cables. In spite of its name, the AC-9SE MkII isn't a nine-gauge cable. It's actually a seven-gauge cable, which means it's even heftier than the nine-gauge! This 7-awg design with its advanced combination of Cardas Grade One Copper conductors, OFC copper conductors, and Litz wire conductor offers a substantial upgrade compared to the already excellent AC-9 MkII. Furthermore, the AC9-SE MkII contains several times the amount of Cardas Grade One Copper than is used in the AC-9 MkII, and this makes a significant sonic difference. The original version of AC-9SE used OFC, Long-Crystal Copper, Litz wire, and PCOCC copper conductors. The new MkII version goes a substantial step further, upgrading to a combination of 99.99% purity OFC copper, Litz wire, and - most important of all - no-compromise Cardas Grade One Copper, which George Cardas of Cardas Audio developed for his own premium cables. George's copper is mined in Arizona, then shipped to a New England factory where the copper is very SLOWLY drawn into conductors in a process that includes reduction annealing between steps to further purify and meld the copper into what George calls "the most amazing audio conductor I have ever experienced. It is quite simply the best copper on the planet." The AC9-SE MkII is specially designed to deliver the clean, high-current power needed by audio amplifiers. It is also ideal for powered subwoofers, power conditioners, and other high-current electronic components.